This unique textbook, created especially for Japanese university students learning English, features video interviews with real people from around the globe who work in Japan in various fields. Everything is designed to help students think about their own future in the as well as their values and what sort of work life they want. *	Each unit is built around an interview I conducted with a real person, exploring their work and working life. Examples are Astrid Klein, an architect from Germany who has designed fabulously unique buildings all over Japan; Philippe Batton, a French chef who runs two casual bistro restaurants and teaches French cuisine; Annie Chang, an IT recruiter from Taiwan, and Tiziana Alampresse, marketing director for Fiat/Chrylser Japan. Lots of variety and different accents. *	Video clips for each unit includes a narrated introduction section (approx. 1 minute) and the interview (approx. 3 minutes), divided into three separate topics that can be shown in class separately. Accompanying exercises challenge students to think about and discuss their values and goals for the future. *	Students experience “world English” as spoken by both native and non-native speakers of English. 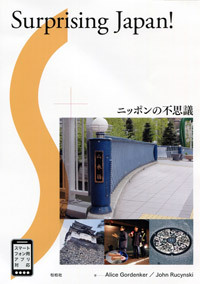 Now in use in universities across Japan and available from Cengage Learning in Japan. 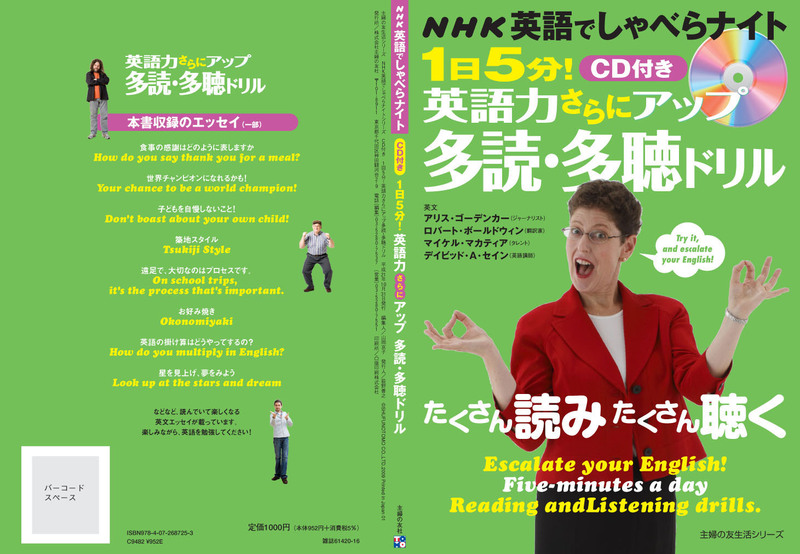 Shohakusha has published a textbook for English learners based on my columns in The Japan Times: Surprising Japan. Aimed at university students, the textbook will help Japanese learn how to explain their own culture in English. My collaborator on the project is John Rucynski, associate professor at Okayama University. I contributed 12 essays to this NHK Eigo de Shaberanaito listening and reading exercise book published by Shufunotomo. The essays in this book start out short and simple, gradually becoming more advanced essays. The book includes a free CD with a native speaker reading each of the essays. I am the female narrator on the CD, reading my own essays. In my essays, I write about everything from Japanese elementary schools to happiness. Great for English-conversation classes, and very affordable as a self-study text. The book is now sold out but used copies are available on Amazon Japan’s Marketplace. If you click on the link below, it will take you directly to the product information page on Amazon Japan.